WASHINGTON — The holiday season is a special time for getting together with loved ones and, perhaps, learning more about your family history. While it may be tempting to shy away from uncomfortable conversations, Sally Squires, who writes the Lean Plate Club™ blog, says families should take the opportunity to learn more about their past — whether it may be their medical history or family lore, or both. The holidays can be a time for high anxiety and tense conversations, but Squires says sharing family stories and recipes, for instance, could help ease that stress. These conversations are “something that reminds everybody that you’re related to each other and you do have this common thread and that there are a lot of things that you probably don’t know about each other,” Squires said. Sharing family memories can also segue into other critical — but maybe overlooked — topics like medical history, Squires says. “This is important because we know that a whole host of diseases — so diabetes and heart disease and cancer; hemophilia, cystic fibrosis, sickle cell anemia — these are just some of the diseases that run in families and if you don’t know that, it’s really important,” she said. And Squires isn’t alone in suggesting families use this time to learn about their medical history. In 2004, the U.S. 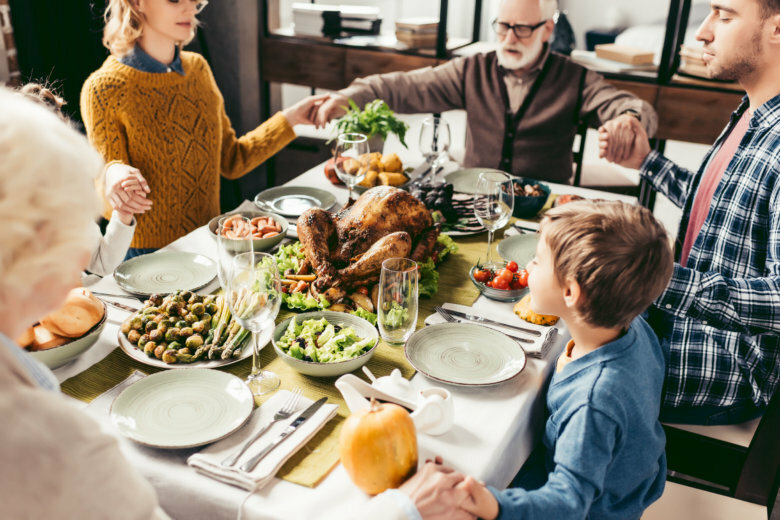 Surgeon General declared Thanksgiving the National Family History Day to encourage families to talk about health problems that may run in the family. The Surgeon General and the Centers for Disease Control and Prevention offer a free online tool kit in English and Spanish so families can track and look at their family health together. For those who are more reserved about health matters, Squires suggests talking to a few family members ahead of time. “Maybe you contact one or two people and just say, ‘Hey, you know I’m kind of curious: what’s our family history and health history, and if I ask a question about that would you back me up? '” Squires said. Whatever you choose, Squires recommends starting with less personal information like allergies and offering information about yourself. “It’s just basically gently easing into this topic that can be really critical for everybody and offer a lot of great information that could be helpful to the whole family,” Squires said.